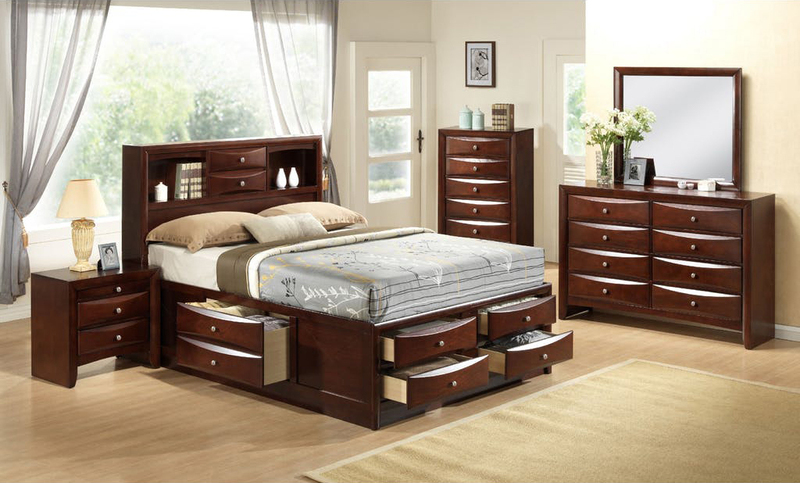 Stay organized with the attractive Emily Storage bed. 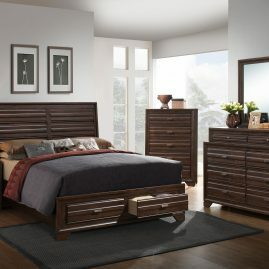 Its contemporary, contoured drawers give it a custom look. 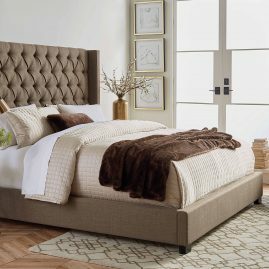 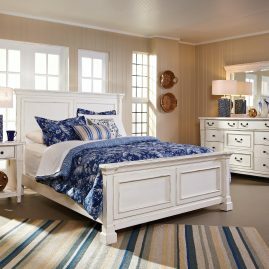 Plenty of storage is provided throughout all case pieces as well as on all sides of the bed. 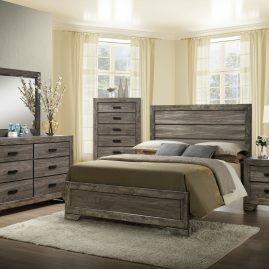 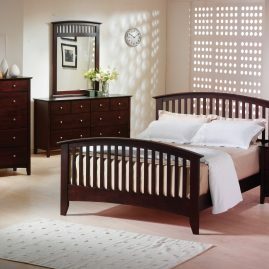 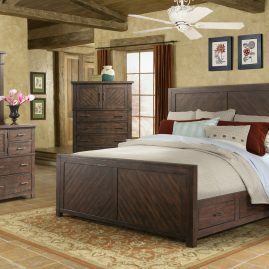 This set is sure to add functionality and beauty to any room.